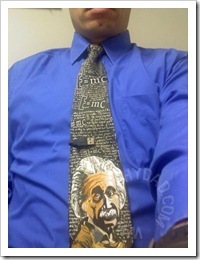 In honor of Albert Einstein’s birthday, I wore my Einstein tie today. 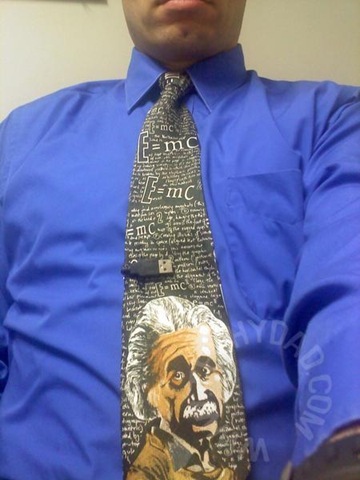 Yes, that’s my USB tie clip (from The Lovely Teaspoon) keeping it in place. (Side note: Self portraits with my cell phone are tough!) Since today is also Pi Day (3/14 => 3.14), I’m thinking I should order a pizza pie for dinner and pick up an apple pie for dessert. Or maybe a chocolate cream pie. mmmmm….. Pie!